Harvest day, or “Thanksgiving” as we all know it, has been celebrated for many years by different cultures all around the world; by the ancient Greeks, the Romans, the Hebrews, the Chinese, and the Egyptians. Mankind has celebrated their harvests and bountiful crops with celebrations of thanksgiving. At these ceremonies, many would exchange gifts and it helped them to be mindful everything they have to be thankful for. The Greeks honored their goddess of grains; Dementer, in an autumn festival called Thesmosphoria. The Romans celebrated their harvest in a festival called Cerelia, which honored Ceres, their goddess of grains, which is where the word cereal comes from. The Chinese celebrated their harvest festival, Chung Ch’ui, with the full moon that fell on the 15th day of the 8th month. The Hebrews celebrated in a harvest festival called Sukkoth. This celebration takes each autumn and has been celebrated for over 3000 years. The Egyptians celebrated their harvest festival in honor of Min, their god of vegetation and fertility. This festival was celebrated in the spring time which was their time of harvest. 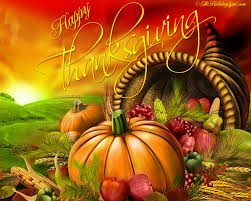 The United States’ celebration began in 1621 when the pilgrims had a successful harvest after a very hard first year in the New World. It was celebrated with corn, fruits, vegetables, and fish. So, no matter where you grew up or currently live, the theme of Thanksgiving remains similar in every part of the world. We all need to be aware of how much we have around us and all that we should be thankful for.